Pat grew up in a military family but considers North Carolina home. 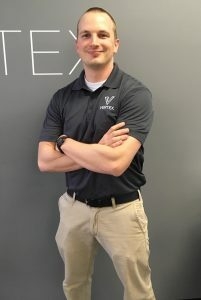 He completed his undergraduate work at Wake Forest University, graduating in 2006, and graduated from the US Army-Baylor University DPT program in 2010. He is an active duty physical therapist in the US Army, currently stationed at Fort Jackson, SC. Pat’s experience is primarily with tactical athletes in military outpatient orthopedic clinics. 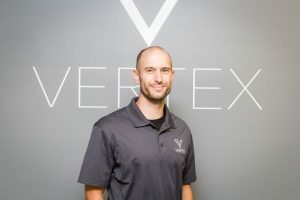 His training includes being a Board Certified Orthopedic Clinical Specialist (OCS), Certified Strength and Conditioning Specialist, trigger point dry needling, manual therapy, and CrossFit Level-1 Trainer. His style of practice blends the best of physical rehabilitation with strength and conditioning. When outside the clinic, Pat enjoys spending time with his wife and two daughters. His interests include CrossFit, Olympic Weightlifting, and golf. Reed received his Doctor of Physical Therapy from the University of South Carolina. Reed is passionate about the use of preventative exercise in people with orthopedic and neuromuscular deficits and is starting a program at the YMCA to help those with movement disabilities lead a life full of physical activity. Reed is a competitive obstacle course racer and was a contestant on NBC’s Spartan: Ultimate Team Challenge. When he isn’t scaling walls or jumping over fire, you can find him hiking with his wife and dogs or mountain biking in Columbia. Reed practices what he teaches and is driven by people who want to get better, faster. Have questions or would like to schedule an appointment?